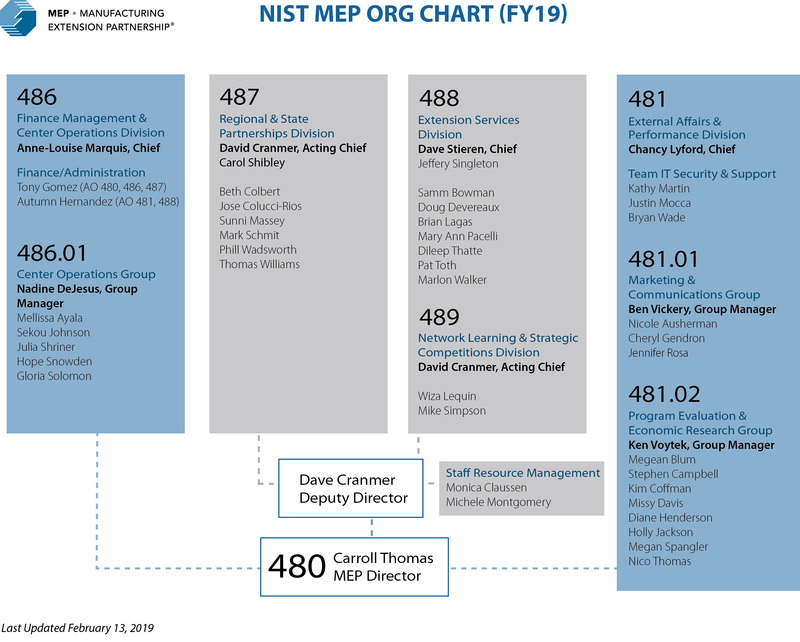 Need to contact a NIST MEP staff member? Use the org chart below to determine what division or group the staff member is in. Then click the corresponding name in the navigation to the left to locate the staff member's contact information.